An emotional, informative, yet entertaining story of a daughter's pilgrimage to the Far East to retrace her father's footsteps and fulfil his dream - to return to the places where, along with many others, he had been held in captivity as a prisoner of war during World War II. This book is Pat's tribute to him and to all those other brave young men who suffered so terribly at the hands of the Japanese, who treated their prisoners of war with indescribable brutality. Many of them did not live to see the end of the war - among them Pat's uncle. Those who survived, like Pat's father, could never forget those terrible years of suffering or the comrades they left behind. He always wanted to return to the Far Fast to honour his brother and fallen friends from the Beds & Herts Regiment but was never able to do so. As a result of his captivity he suffered ill-health in the post war years and died in 1968, aged only 53, having never been able to make his pilgrimage. 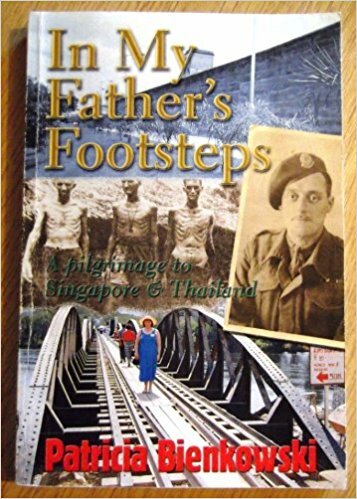 This book tells the story of Pat's own trip to Singapore and Thailand, with a group of former POWs and relatives of those who had served in the Far East, to retread her father's footsteps and make the sentimental journey he was never able to make for himself. The story of her trip and the strong emotions it aroused is, without doubt, one that former Far East Prisoners of War and their families will strongly identify with. Fifty percent of the profits Pat receives from sales of the book will be donated to the Children & Families of Far-East Prisoners of War Memorial Fund. Woodfield Publishing has offered to contribute a further 5% of the value of any books ordered using the special code CPOW this applies to all Woodfield titles not just Pat's book.